Protect your floors with Bottle Buddy. 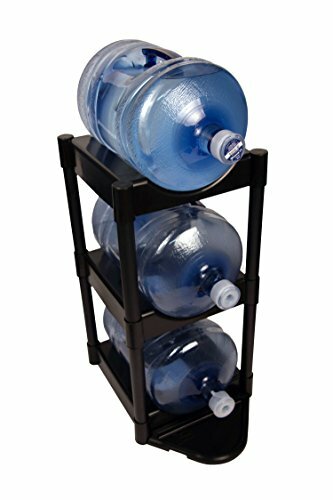 This all-plastic bottle storage unit is made in the USA and allows you to easily store 3 water bottles containing 5 gallons each. The kit includes 3 trays, 8 legs, 4 top caps, floor protection kit and instructions for easy set up. Product dimensions when assembled: 21.5 x 14.5 x 28.8 inches. Water bottles not included. Made in the USA. View More In Concession & Vending Equipment. If you have any questions about this product by Bottle Buddy, contact us by completing and submitting the form below. If you are looking for a specif part number, please include it with your message.